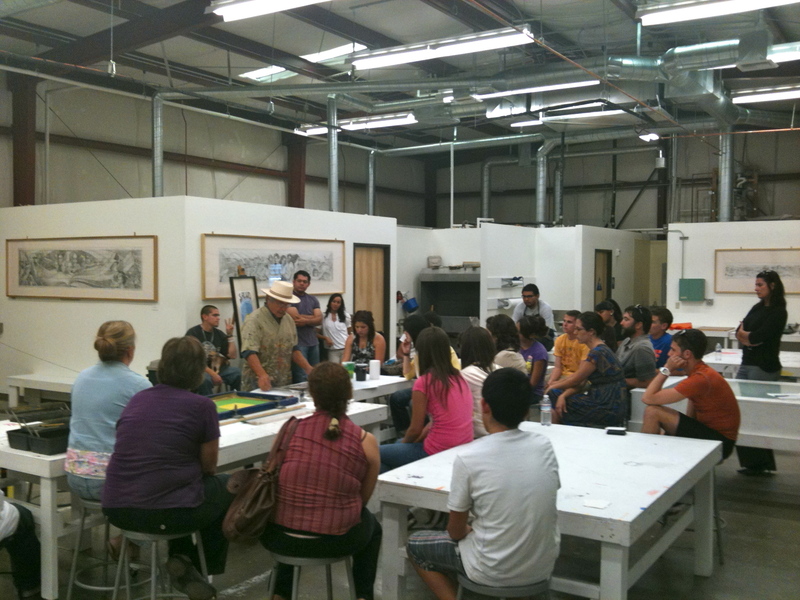 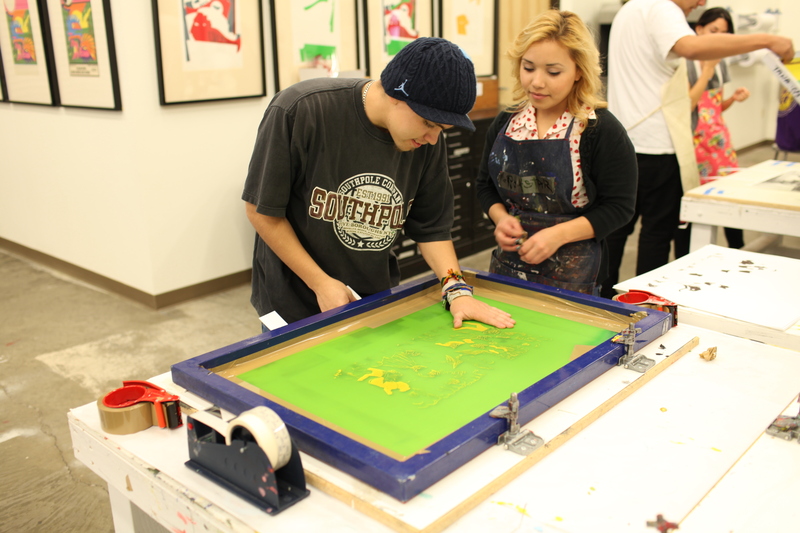 From September through December of 2010, TANA began conducting a new year of community silkscreen workshops. 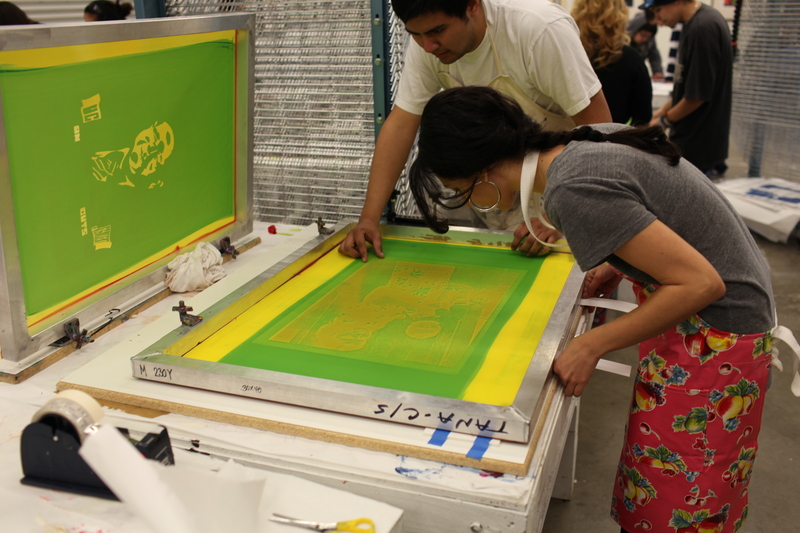 The Fall 2010 Workshop began with a mandatory introductory silkscreen demonstration which included instruction on how to create a silkscreen print and the relationship of TANA to the Chicana/o Arts Movement. 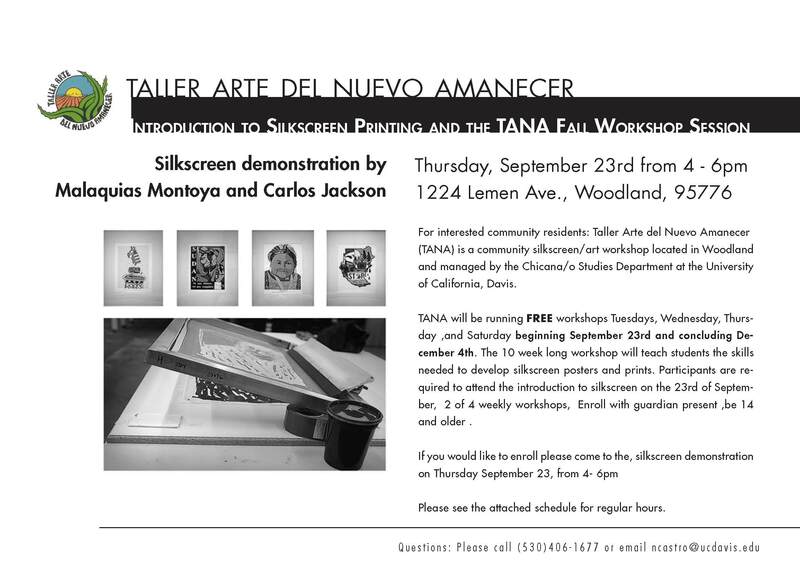 Professor Emeritus of Chicana/o Studies at UC Davis conducted the silkscreen Demonstration on September 23rd, 2010 with an estimated 45 attendees from the Woodland community.